Fortnite (also known as Fortnite: Save the World) is a co-op sandbox survival game developed by Epic Games and People Can Fly and published by Epic Games. It is free to play now in 2018. Players can play this game on Microsoft Windows, MacOS, PlayStation 4, Xbox One. 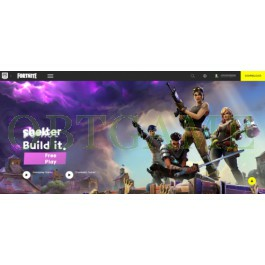 The product we are selling is verified Fortnite KR account. Which can play South Korea server. If you want us to verify your fortnite KR account, please register on https://www.epicgames.com/site/ko/home with South Korea VPN, then order on our website and tell us the login details, we will login to verify real name for your fortnite KR account.